The Balearics are a wonderful collection of islands, nestled in the Mediterranean, and known for their sunny climate and crystal clear waters. Ibiza, Minorca, Majorca and Formentera are four of the biggest islands in the Balearics and are popular with tourists all year round. Unsurprisingly perhaps, traditional beach holidays rank very highly amongst tourists visiting the region but if you fancy a more active holiday, or simply want to see more of the breath-taking countryside that can be found on the islands you might want to consider a walking tour. You don’t need to be a hardened hiker to enjoy this type of holiday; there’s plenty available for all types of ability and experience. We run down some of the best walking tours in the Balearics to whet your appetite for what you could find. The pretty island of Majorca, also referred to as Mallorca, is a popular hot-spot for holidaymakers wanting to lap up the warm weather during the day and hit the nightlife when the sun goes down. But for those willing to take a walk on the wild side, there’s a whole island simply waiting to be discovered. Majorca has a wide and varied landscape and in the north, a brow of mountains stand guard over the island, forming the backbone of the tiny landmass. There are many day excursions and walking tours which visit this region, but one of the most enjoyable is the six day Classic Trek. A grade B tour, anyone who is in reasonably good condition and can cope with undulating terrain should be able to manage the demands without any difficulties. However, walking boots rather than trainers are recommended for this route. 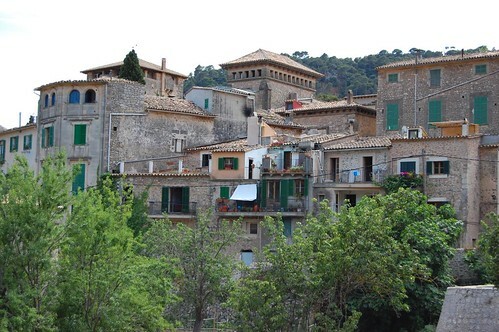 The tour starts in the quaint village of Valldemossa, buried in the mountains and gradually treks north reaching the Archdukes Pathway. The climb up is made well worth it by the spectacular panoramic views of the coast, before you slowly make your descent into Deia for the night. The next day sees an old fisherman’s trail followed, through wild olive groves which provide the perfect backdrop for some unique holiday snaps. Moving on to Soller via tram before walking for 6-8 hours to reach Tossals Mountain Refuge is the next leg, moving through some picturesque mountain hamlets en route. This pathway involves walking through some tunnels and offers a very remote experience in the mountains. The final two days include a stay at the island’s famous Lluc Monastery, often considered the true heartbeat of Mallorca. The tour finishes with a walk down the side of the Puig Tomir Mountain and into the hustle and bustle of Pollensa Square. A tour which offers views of pretty villages, remote mountaintop refuges plus plenty of stunning scenery along the way, it’s little wonder you need to book this in advance to get a place. In recent years, the White Isle has gained a reputation for being the place to go to party but whilst this may be true, there is so much more to Ibiza than just throbbing dance music. Venture away from the lights of the main tourist areas and you will find a small island filled with beautiful countryside and tranquil bays. 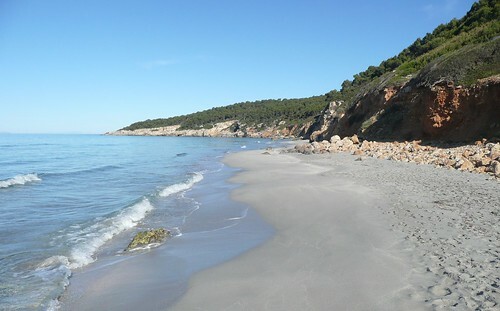 There are many tours available which take in the sights and sounds of Ibiza but one walking holiday with a difference is the Around Island trip. A two week holiday which includes some rest days, the tour is designed for all levels of ability but most of all aims to allow everyone the chance to reconnect with nature by experiencing the peace of the natural world. During this tour, no hotels are stayed in – other than on the two rest nights – and meals are cooked and enjoyed over a campfire, allowing the group to chat and really get to know each other. This kind of holiday provides plenty of opportunities to mix as well as contemplate the serenity so you could return with a very different perspective as well as some new friends! All food and drink is supplied but you will need to bring your own rucksack, tent and sleeping bag. The itinerary is rather more relaxed and will depend on the weather conditions and the fitness of the group. All that is guaranteed is that the tour will take in the whole island, providing phenomenal views and outstanding scenery. Although around 15-30km will be covered each day, the emphasis is very much on quality of the experience rather than speed to make sure everyone gets what they want from the tour. Despite being amongst the four largest Balearic Islands, Minorca remains somewhat of a mystery to many holidaymakers. A green and lush island with beautiful scenery and landscapes to explore, Minorca provides the perfect backdrop for a walking tour and where better to start than the interestingly-named Path of Horses. More than 116 miles in length, the Path traverses through many different types of scenery en route including some of the towns on the island, as well as rugged cliff-top seascapes and tiny secluded bays and beaches. Minorca whilst offering gently undulating countryside has far less heavy climbing than its island brothers, and as such walkers following the Path of Horses will have far fewer ascents to make. On the entire route, there are just two sections marked as ‘difficult’ whilst nine are graded as ‘middle’ and a further nine as ‘easy’. No-one is entirely sure of the origins of the Path of Horses but studies have shown that it dates back many centuries at least. The route now passes by not just beautiful coastal areas, but also encounters sudden valleys exploding with flowers and prehistoric monuments and fossils. A track which runs around the periphery of the island, the Path of Horses shows walkers Minorca at its best, offering up many of its secret treasures such as lush green woodland and hidden coves. The above three examples are just three of the many walking tours which can be found in the Balearics. All of the islands have their own particular characteristics from precipitous mountain peaks to sandy bays and shady olive groves. Take some time away from the sun lounger and enjoy the Balearics at their best; you are guaranteed to see a completely different side of the island! Sally Vandiver is the owner of a range of Menorca villas and highly knowedgeable about villa rentals in this region.